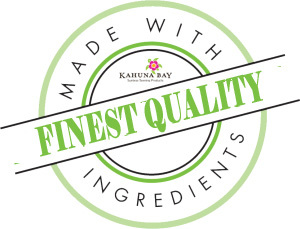 If you have clients that do not like the feel of a standard cold blend spray tan solution, they will LOVE our Kahuna Mélange. Made with natural and organic ingredients with a light citrus fragrance, Kahuna Mélange spray tanning solutions give you the rich dark bronze tan that will make everyone envious of your bronze color, and keep your clients screaming for more! Its anti-aging properties give you the moisture that you need while firming the skin at the same time. Kahuna Mélange spray tan solution is much thicker than a blended solution, but still goes on feeling dryer and silky smooth. The instant dark bronzer allows your clients to leave the salon already looking like they have been working on their tan for months. Within hours the rich temporary bronzer will develop into a long lasting rich bronze tan that will make heads turn and your clients love how they look and feel!